Moody south Wairarapa coastline at dusk. Windy Point and Mukamukaiti Stream at right, southern Remutaka (Rimutaka) Ranges. 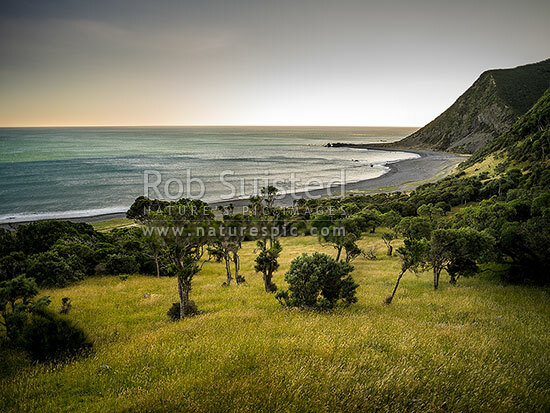 Palliser Bay beyond, Remutaka Forest Park, South Wairarapa District, Wellington Region, New Zealand (NZ), stock photo.